Thanks to all who helped or attended our stall at the Mill Road Winter Fair. As darkness descended, we projected news about the Campaign onto the Wilco site. 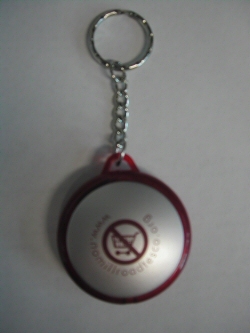 New No Mill Road Tesco Campaign keyrings are now on sale for £1.50. Call in at Libra Aries Books on Mill Road to get yours. Category: Merchandise | Comments Off on Key rings! 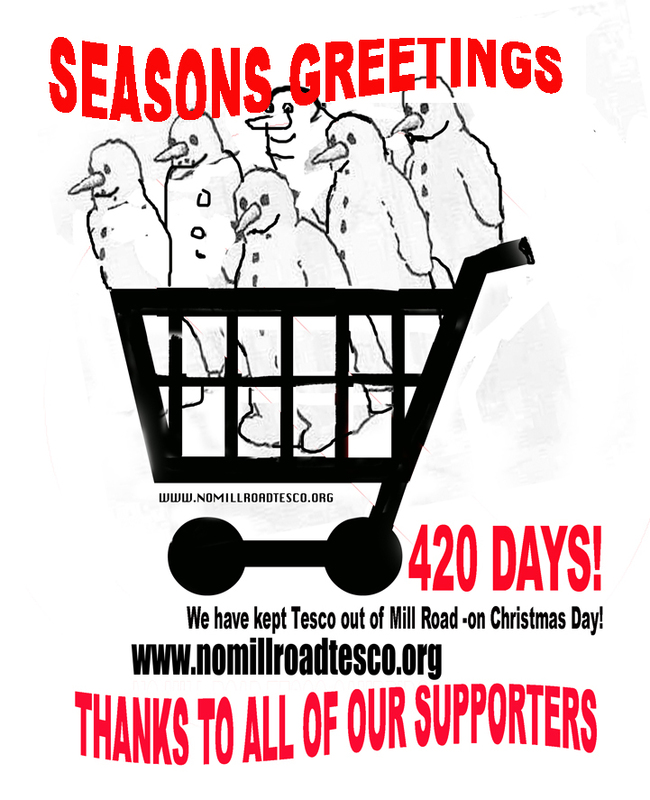 The NMRT campaign is having a stall on the Mill Road Winter Fair this Saturday 6th December and is seeking helpers to staff the stand for an hour or two. This would involve handing out leaflets giving the current status of the Campaign and other information, getting people the opportunity to sign up to the mailing list (if they are not already on it) and selling the new NMRT torch key rings (price £1.50 each). Ideally we would like to have 3 or 4 people staffing the stall at any one time. The stall will be there from 10.30 am to 3.30 pm. At present there are committee members (one at a time) covering the whole day but they will need support. If you would like to volunteer to help for an hour or two, please contact us stating what time you would like to be on the stand. Please do come along and say hello on the day, even if you do not want to help with the stall!